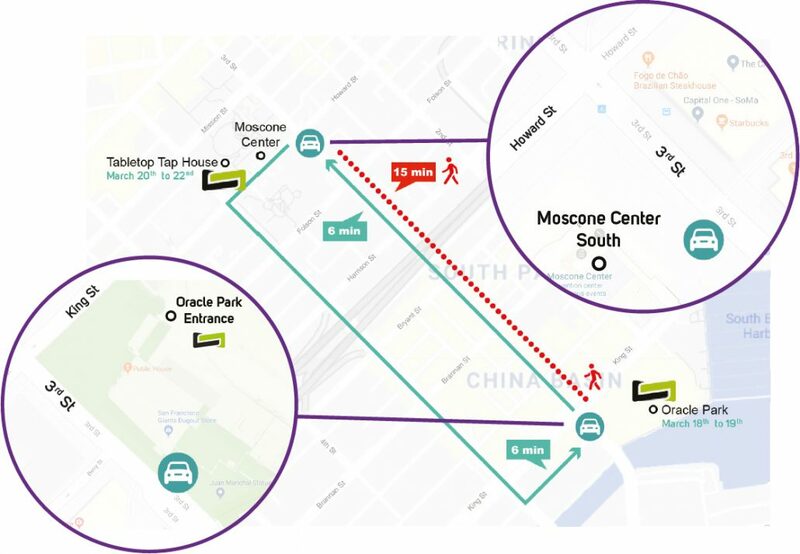 On March 18 and 19, a free shuttle system will be set up to travel from Moscone Center to Game Connection and vice versa. Every 5-10 minutes from 8am to 8pm (6pm the last day), a car will leave from one of our two car stations, near Moscone Center and near AT&T Park. The journey takes approximatively 5-10 minutes.